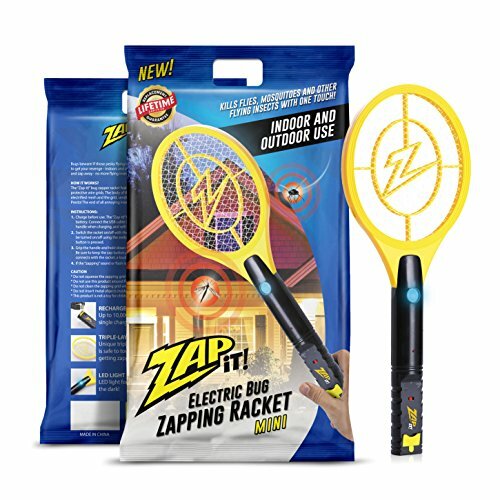 KILL BUGS INSTANTLY - A single swing of the mini travel version of our best-selling zapper with a powerful 4,000-volt grid eliminates flies, mosquitoes and other flying insects. Get rid of your old fly swatter and take the modern approach! 100% LIFETIME REPLACEMENT GUARANTEE! - If you ever have issues with your Zap-It Bug Zapper, simply contact us, and we'll rush a replacement to you FREE FOR LIFE!